Can I unsend an invitation? No, unfortunately, there is no way to unsend an invitation after it has been sent out. 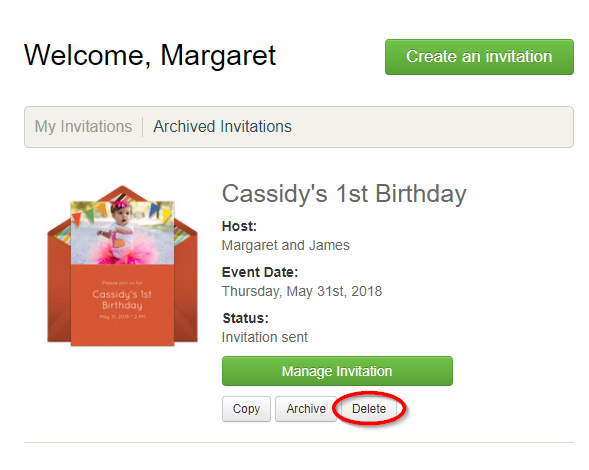 You do have the option to delete an invitation by using the Delete button located below the invitation on your Dashboard. While this will not retract the email or text message that contained the invite, it will prevent guests from being able to view the full invitation.